I got better win rate by 0,05% loool, and honestly i dont like seeing my graph goes down in red. i think i can somewhat play better in 1 specific vehicle. btw, that in crease also comes with a remarkable real life headache and fever. I think want to stat-pad the "fallen trees" record. building a nest for increased cammo. Oh, also, i don't like fever, and i don't like headache. if you had to choose between win rate and real-life physical health, which 1 would you choose? Without a doubt I'd choose bacon. Any improvement is good. i see a general improvement if i play after working out. But health is more important so take care man. Edited by NameWasStolenStresslevel, 07 December 2018 - 10:54 AM. Really easy to see where I found Claus Kellerman's YouTube channel. Now to see if I keep the imporovements up. Where do I get my tree down stat? Been making decoy nests to keep the blind fire arty shots away from my Hellcat. Oh, I love making decoy nests. Now that's some good fun. sadly in my case, most of the time, win rate & physical health is inversely proportional . Meaning more win = less health, more health = less win. Some other time its even worse, less win = less health. You need an Android Phone & Google Account. 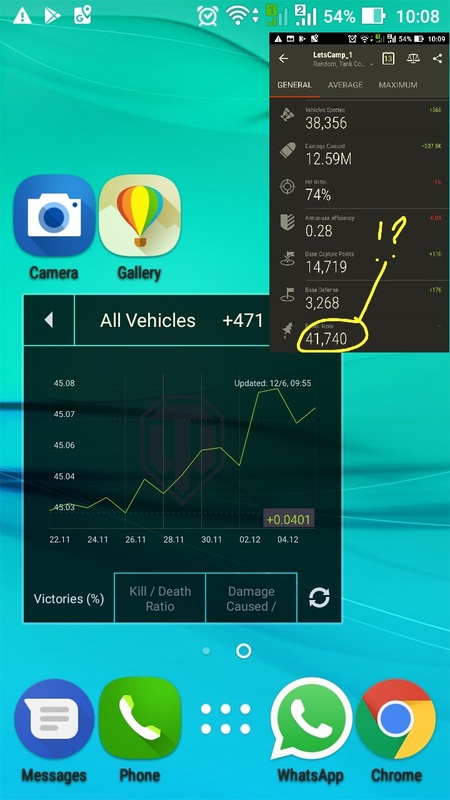 In your phone, open the PlayStore App, search for "World of Tanks Assistant", Download & Install it. Open the App, Login by using your wargaming account. Thanks. Down below 7000 so I guess I need to earn enough bonds to buy an improved chainsaw. 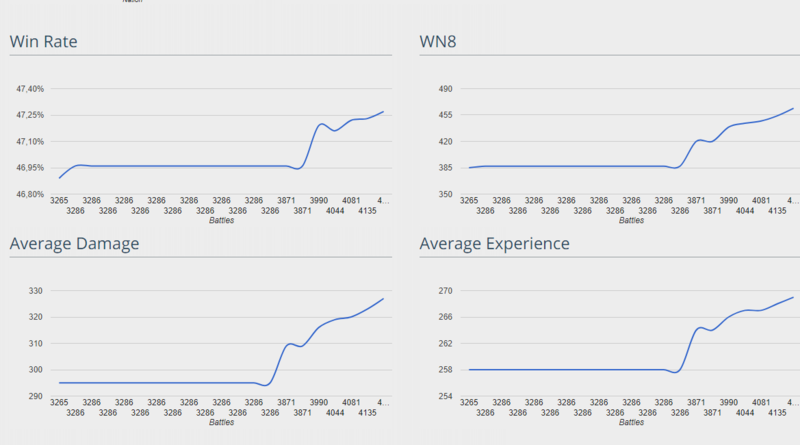 it's been fun experiencing increased win rate. Now, it's time to take the long deep jump to the depth of abysmal hell of non win rate wooooooooo.. I'm just amazed that the API actually logs (haha, logs), the number of trees you knock down. Okay, now I'm paying attention to the most important stat in the game I have a question. How big does a tree have to be to get counted as a tree? Is it logging every plant that can be knocked over or just things that are actually trees? Also is there a mod pack that will track bicycles? Edited by Bert_Olio, 12 December 2018 - 04:30 AM.